Events were organized around the world on 30 August to mark the International Day of the Disappeared, a commemoration designed to raise public awareness about the issue of missing persons from armed conflict and human rights abuses. Ms Bomberger stressed that “whether a person is missing from conflict, human rights abuses, disasters or other causes, it is a complex issue that entails securing the rights of families of the missing ,” and she added that as the only international organization exclusively dedicated to accounting for the missing, ICMP is working with governments, civil society organizations, justice institutions, international organizations and others throughout the world to tackle the problem in a comprehensive way, including through legal and political initiatives. 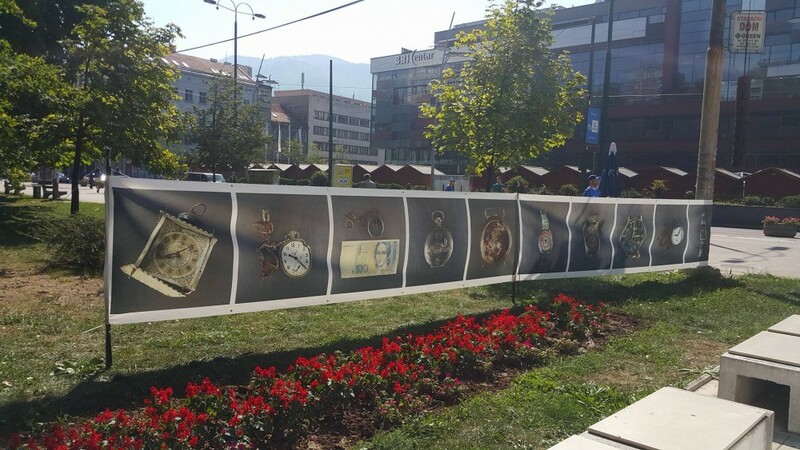 In the Western Balkans, ICMP helped associations of families of the missing organize a series of commemorative events on 30 August. 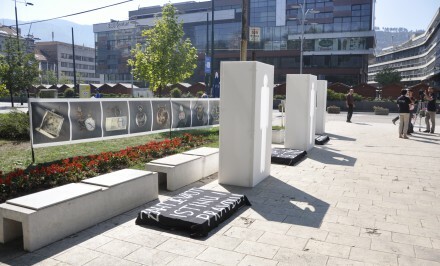 A street gatherings in Bosnia and Herzegovina, Croatia, Kosovo and Serbia, family associations installed identical installations – silhouettes symbolizing a missing person. Passersby had the opportunity to write messages and place them on the installations. Volunteers and families distributed leaflets urging the authorities to speed up the process of locating missing persons and to become more engaged in marking the International Day of the Disappeared. 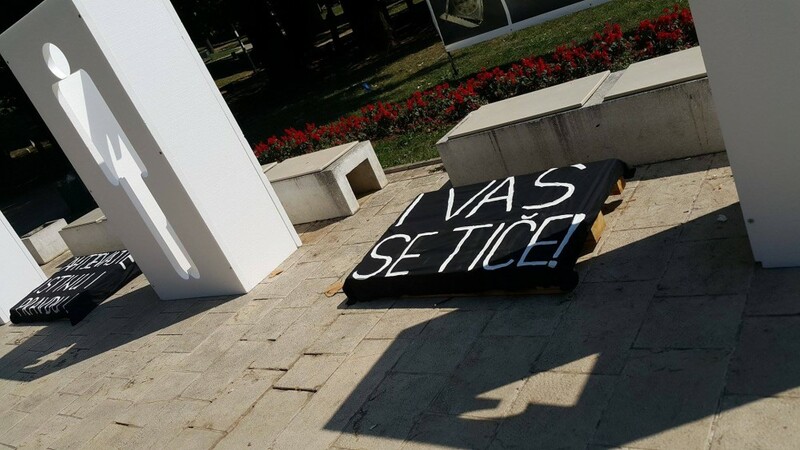 In Bosnia and Herzegovina, members of the public were invited to sign a petition calling on the authorities to implement the Law on Missing persons. These events helped to raise awareness about the issue of missing persons and remind the authorities about their obligations to the families of the missing and to society at large. They were also an opportunity for associations of families to pay tribute jointly to the missing regardless of nationality, ethnicity or religion. This regional effort drew attention to the fact that some 12,000 persons from the conflicts of the 1990s are still missing. 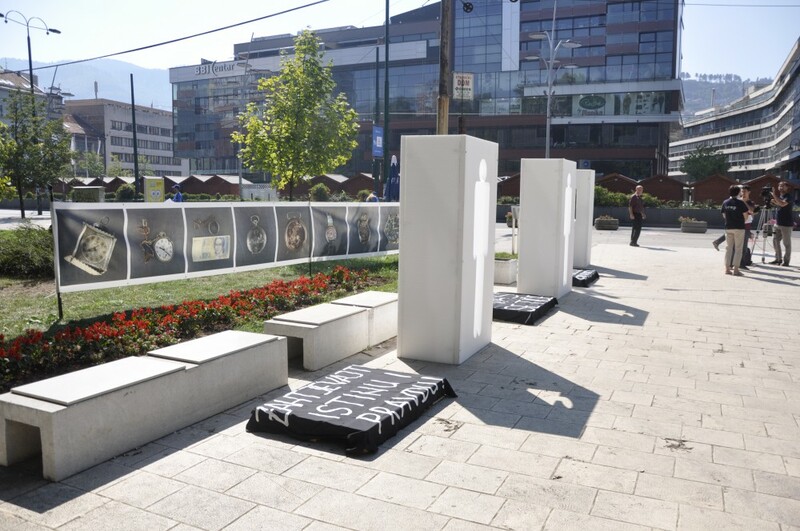 The efforts of the associations of families of missing persons from Bosnia and Herzegovina to mark the International Day of the Disappeared on 30 August, took place within the context of the Civil Society Forum on Joint Memorialization, a project facilitated and supported by ICMP. 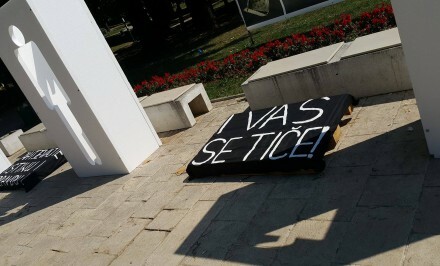 As a follow-up to the International Day of the Disappeared activities, the Civil Society Forum on Joint Memorialization will gather together all the messages that the families of the missing and members of the public posted on the silhouette installations, collate them in a report, and present this, together with the petition calling for implementation of the BIH Law on Missing Persons, to the BIH Council of Ministers, the BIH Parliament and the Missing Persons Institute on 10 December, International Human Rights Day. The commemorative events in Bosnia and Herzegovina were facilitated by financial support from ICMP, and carried out in cooperation with the Network for Building Peace and the Association for Social Research and Communication. Family associations erected silhouette installations in Belgrade, Bijeljina, Brcko, Hadzici, Ilijas, Mostar, Mt. Ozren, Pakrac, Prijedor, Pristina, Sarajevo, Srebrenica, Vogosca, and Zagreb. If you do not have an account please register to use this service. Otherwise, login using the form below.